23andMe FDA letter: Premarket approval requirement could kill at-home genetic testing industry. 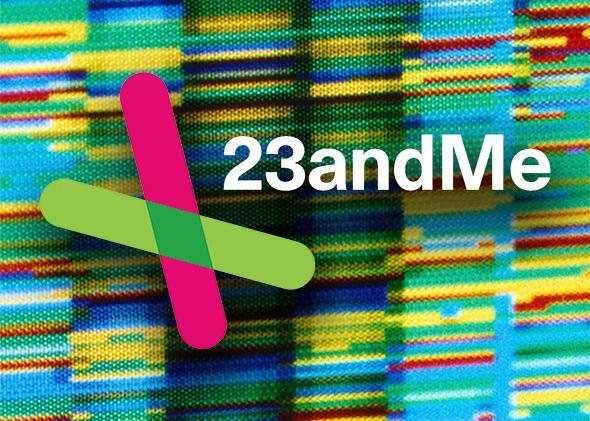 Its letter to 23andMe is foolish and paternalistic. The Food and Drug Administration’s recent directive to the company 23andMe to stop marketing its genetic tests directly to consumers is a shortsighted, heavy-handed, double-standard act of paternalism. This is the last shoe to drop in the FDA’s effort to wipe out the right of consumers to discover their own genetic information, some of the most important, private, useful, and interesting information about our own health and well-being. We should have a right to access that data about ourselves, but the practical impact of the FDA’s action will be to put most of that data out of reach for the foreseeable future. 23andMe is the “last man standing” in the once crowded and rapidly expanding direct-to-consumer genetic test field. All the other major competitors were put out of business or stopped selling directly to consumers after the FDA sent threatening letters to all the companies in the industry a couple years ago. 23andMe tried to play ball with the FDA by starting to submit so-called 510(k) applications for some of its tests based on the tests being “substantially similar” to medical devices already on the market. Now, in the letter sent to 23andMe on Friday, the FDA indicates (correctly in my view) that the 510(k) mechanism is not appropriate, because there are no substantially similar approved tests (called “predicate devices”) already on the market. But then the FDA goes off the deep end and asserts that 23andMe must instead seek premarket approval (PMA) or de novo classification of its tests. The problem is that these regulatory approval pathways generally require clinical testing that takes several years to complete and costs millions of dollars. 23andMe or any other entrant into this field would have to pursue such approval for each test it offers—and 23andMe offers tests for more than 250 diseases and conditions. Moreover, because of rapid advances in the field of genetics, any such test would likely be outdated, replaced by a more precise and advanced test, before the clinical testing and regulatory approval could be completed for the initial test. In other words, the PMA regulatory pathway is infeasible and impracticable for these types of tests, and the FDA’s insistence on such a step is a death sentence for direct-to-consumer genetic testing. To some extent, the FDA is trapped by an outdated statutory regime that only provides the “nuclear option” of a PMA to approve DNA tests, a technology that was not envisioned when the statute was written. But the FDA was not required to take this heavy-handed and drastic action. We know this because many of the exact same genetic tests are already being provided to consumers through their physicians, without any FDA approval. There are approximately 3,000 genetic tests now commercially available through your doctor, of which only a handful have received FDA approval. So it is apparently now unlawful for 23andMe to sell you a genetic test but OK for your physician to order the exact same test, at a much higher cost to the consumer. This is an unjustified and unwarranted double standard. There are important reasons why at-home genetic testing may be preferable to consumers. To many, their genetic information is very private, and they prefer to get the results privately at home rather than through their physician, who will likely put the information in the patient’s medical record. It is much cheaper to get tested through 23andMe, which is currently offering its entire battery of genetic tests for only $99. It would cost many hundreds if not thousands of dollars to get the same tests through one’s physician, and health insurance does not cover the cost of most genetic tests presently. As a practical matter, most physicians are unlikely to order the complete set of genetic tests offered by 23andMe, so those who are interested and curious to get as much genetic information as possible will be blocked from doing so if they must go through their doctor. The American Medical Association, an FDA advisory committee, and many genetics experts all support the FDA’s position that genetic testing should only be permitted through your doctor. Putting aside the self-interest that may be behind some of those recommendations, it is true that a consumer who receives genetic results showing a serious health risk should discuss those results with a medical professional. But there is no need or benefit in most cases to do that up front, before a person is tested. Most physicians practicing today have little or no genetic training and simply are not in a position in the 12 minutes or so they are allotted per patient appointment to make an informed judgment or engage in in-depth discussion about what genetic testing is appropriate for a patient and what the risks and benefits are. In contrast, many consumers who seek direct-to-consumer genetic testing spend a significant amount of time learning about the genetic tests, and their pros and cons, before and after signing up for such testing. And, once they get those test results, they can and often do go to their doctor to discuss. The FDA letter ignores all these and other advantages of at-home genetic testing and describes a parade of horribles that are greatly overstated. FDA warns that consumers may engage in risky and perhaps unnecessary prophylactic surgery based on their genetic test results, but there are not many patients in our nation who undergo major surgery without first talking to a doctor, who will undoubtedly consider and confirm the genetic test results before operating on a patient based on those test results. The FDA expresses concern that patients will self-medicate or alter their medication doses based on their genetic test results. It is far more likely that the patient will call the genetic test results to their doctor’s attention, which may provide helpful information the doctor did not have. To give a personal example, I tested positive through 23andMe for a gene variant that makes me more susceptible to bleeding from the drug warfarin, one of the examples the FDA cited in its letter to 23andMe. My mother unfortunately recently had a mini-stroke, and the doctor in the hospital prescribed warfarin for her. She remembered that I had tested positive for the gene affecting warfarin metabolism and mentioned it to the doctor, who then decided a different drug may be better for my mother. It is quite possible that my mother did not give me that gene or the even if she did, that the normal warfarin dose would not have harmed her. But it is also possible that it would have, and my 23andMe test result brought this to the doctor’s attention and allowed him to choose a different treatment option. There are other benefits to consumers being empowered with genetic test results. Recently, 25 students in my genetics and law class at Arizona State University chose to obtain genetic testing from 23andMe. The students uniformly found the results they received useful and interesting. At least one student tested positive for a cystic fibrosis mutation, which means his children would be at a 1 in 4 risk of having this terrible disease if he happens to marry and have children with a mate also carrying the mutation, present in about 4 percent of the population. He is grateful to have this information and be in a position to avoid risking such a life-changing adverse outcome, another benefit the FDA completely ignores. Genetic information can also motivate consumers to take preventive action. Another of my students found out that she carried the ApoE4 mutation, which significantly increases the risk of late-onset Alzheimer’s disease. There are no proven interventions to reduce such risks at this time, but there is suggestive evidence that exercise, mental stimulation, and perhaps certain vitamins may help reduce the risk, which she is now more motivated to undertake and which will be beneficial whether or not she is destined to develop Alzheimer’s. She again is grateful to have this information and will be closely attuned to any new preventive recommendations that may be forthcoming in the upcoming decades. To be sure, there are real risks from direct-to-consumer genetic tests. There have been some direct-to-consumer genetic test companies that have tried to swindle consumers by selling “genetically tailored” cosmetics or “complete personality profile” genetic tests. These fly-by-night companies can be immediately detected because they do not provide the information and links to the underlying data and studies that more responsible companies like 23andMe provide. These companies offering unsubstantiated tests should be singled out for enforcement under the deceptive advertising provisions, along with the oceans of other bogus health information flooding the Internet, AM radio, and newspaper ads, rather than banning all at-home genetic testing. Genetic test results showing major health risks can have significant psychological impacts on affected persons. For example, as the FDA notes, there can be false negatives: Home-based genetic testing does not include all the mutations for a particular health endpoint (e.g., breast cancer), and an at-risk person may falsely assume that he is not at any increased risk if the mutations that are tested are not present in his DNA. But this is all explained on the 23andMe website. Another of my students who also tested positive for an ApoE4 allele is less positive about learning her result than my other student and now preferred that she not know her result. But again 23andMe warns consumers about such risks, and my student does not second-guess her choice to undertake such testing—she just wishes it had come out differently. Studies are showing that consumers are generally not as psychologically devastated by adverse genetic test results than many of the experts anticipated. Arguing that consumers are too vulnerable and unable to manage such information harkens back to the bygone era of paternalism when doctors would not inform patients that they had cancer, out of fear of causing anxiety and stress. Some of these problems—which surely do not outweigh the benefits—could be eased by better genetic education for consumers. One thing that is absolutely clear from studies and the experience of consumer genetic testing is that people differ in their preferences about getting genetic information about themselves. Some, like me, want to get any and all the information we can. Others prefer not to know, especially for risks and traits they can do nothing about. The role of the government should be to respect and enable such choices, not to cut off that pathway altogether. Just as no one should be required to get genetic information he doesn’t want, consumers should be able to find out their own genetic information when they so choose. The FDA’s heavy-handed assault on 23andMe will block consumer access to our own genetic information for the foreseeable future. No company could meet the regulatory roadblocks and burdensome costs that the FDA has now imposed. This is particularly unfortunate as we are entering an era where genetic information is increasingly relevant and useful. In such an era of opportunity and understanding, government-imposed ignorance is not bliss.